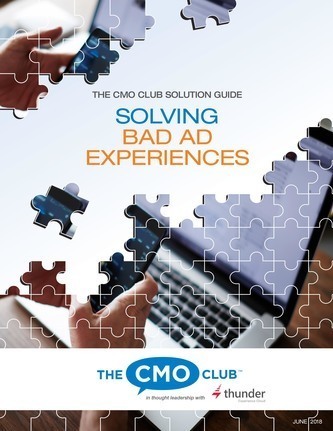 Programmatic advertising has been one of the most transformative advancements in marketing. It has also been one of the biggest disruptors to the ad-powered internet. Now a dominant way to sell and purchase media, programmatic advertising is expected to rise to encompass 58% of all ad spend on digital display this year. The US is the strongest programmatic market, accounting for 62% of all global programmatic ad spend. But what exactly is programmatic? Here’s how we define programmatic advertising. Programmatic advertising increases media buying and creative execution efficiency through software and automation. Programmatic helps cover both routine and complex tasks in digital advertising making a greater span of tactics possible. These efficiencies create additional campaign ROI. For publishers, programmatic advertising makes ad inventory and consumer data available for sale in exchanges where it can sell to the highest bidder. For advertisers, programmatic technologies allow them to buy those highly-targeted ad impressions efficiently using software. In combination with this targeted media, programmatic creative allows the ad experience to be customized to the audience. 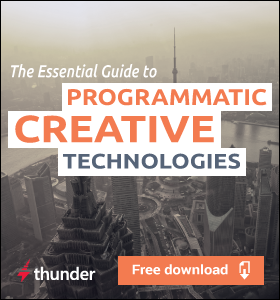 To accomplish these feats, programmatic advertising is generally broken out into two key categories: programmatic buying and programmatic creative. In the most basic sense, programmatic ad buying is simply using software to buy ad space. Before the rise of programmatic advertising, buying media involved human-to-human interactions like submitting RFPs, enduring negotiations, and faxing back and forth manual insertion orders. Now it’s mostly done through software. Programmatic buying often resembles the stock markets. Across the exchanges, the prices of impressions fluctuate up and down constantly as the demand and supply grow and fall. While any time ads are bought online it could be considered programmatic buying, the term has evolved to generally refer to buying ads online where one or more machine efficiencies are in play, notably, ad exchanges, real-time bidding (RTB), and advanced audience targeting. Programmatic creative is the set of advertising technologies that add speed, scale, and automation to the creative process. 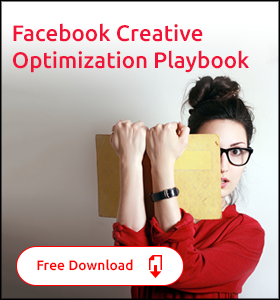 This covers both ad production and creative optimization. Advertisers looking to see the full value of their investments in targeted media turn to programmatic creative to tailor their messaging to their audiences. 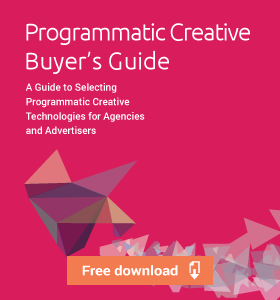 When combined programmatic buying and programmatic creative are a one-two punch powerhouse, ensuring the right person sees the right message at the right time for the right price. Any time you are buying ads online you are using programmatic advertising, but there are a few technologies that take this operation to a whole new level. When you define programmatic advertising, you’re not just defining one type of technology; it’s actually made possible by a stack of different technologies used in tandem. In fact, these technologies tend to have more synergy when used together. Sadly, it’s not so simple as just defining programmatic advertising through programmatic buying and creative. There is more, and they are all acronyms. Supply Side Platform (SSP) – How publishers hook up ad inventory for sale in programmatic exchanges in a way that maximizes returns. Demand Side Platform (DSP) – Used by advertisers to find the best impressions at the best value in a more automated way. Data Management Platform (DMP) – Coordinates access to first and third party audience data like demographics, behavioral signals, contextual information and CRM data. Creative Management Platform (CMP) – Adds speed and scale to ad production across multiple channels. Dynamic Creative Optimization (DCO) – Ad units that pull in content automatically and on the fly based on a rule set. While we have defined these programmatic advertising terms, the lines between these categories can be gray. Programmatic ad tech is a large technology space, with hundreds of vendors all trying to differentiate their offerings. As companies mature, they begin expanding into other categories. Especially in the area of ad servers, DSPs and DMPs, the lines are beginning to blur more and more. There is sometimes confusion about whether real-time bidding (RTB) and programmatic buying are synonymous. They are not. RTB is just a flavor of programmatic buying. RTB enables programmatic buying on real-time auctions, impression by impression. When a web page is being served that has ad placements, the publisher can choose to send out a call to auction off the impression to the highest bidder. A number of factors might be up for sale in the RTB scenario. An impression can involve publisher placement information as well as audience data that is demographic, contextual, and behavioral. The impression might be valuable to a specific advertiser because of a retargeting cookie, or worthless because this person has already seen an ad enough times to hit a frequency cap. All of these factors are evaluated, automated bids are placed, and the winning creative is delivered to the placement in just a few moments as the web page loads. RTB enables technologies like demand side platforms to algorithmically optimize an advertiser’s spend. The DSP watches the performance of the campaign and adjusts spend based on what is delivering the best performance at the least cost. Programmatic direct is another way to accomplish programmatic advertising where the media is purchased in advance. Yes, software is used to facilitate this purchase, but programmatic direct is much more of a traditional marketplace than RTB. Goods, in this case, ad inventory, are laid out for sale to be fulfilled at a later date. By buying inventory in advance, you effectively guarantee impressions so this can be a much more controlled way to buy media. Programmatic direct buys sometimes get priority over RTB impressions. While this comes at a cost, the inventory is seen as more guaranteed and of higher quality. For example, if you go to a major website, the first few impressions on a page you see may be this preferred inventory. It’s likely to be brands you recognize. But if you refresh the page 20 times, you will begin to see different ads as the direct buyer’s frequency cap is met. Once all of the directly sold inventory is used up (programmatic direct or old fashioned sales), the remaining inventory—called remnant inventory—is generally sent to programmatic auctions. What good is a highly targeted impression if the creative it contains is generalized and generic? By tailoring the creative to its audience, advertisers have an opportunity to gain significant additional lift from their targeted buy. And so in the wake of programmatic buying, new creative solutions have emerged to assist with the audience-based and people-based levels of creative personalization that is desired. Collectively, these technologies fall under the programmatic creative umbrella. 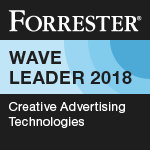 Programmatic creative technologies are typically one of two categories: creative management platforms (CMPs) and dynamic creative or dynamic creative optimization (DCO). These terms are summarized below, but you might want to download this eBook if you need a detailed breakdown. Creative management platforms add speed, scale, and efficiency to the creative process, but still leave designers in full control of the final ads. This is done through allowing multiple ads to be created and edited at the same time, with tweaks being made to individual smaller units. While a set of ads might be built by a data feed or spreadsheet import, CMPs assist with ad construction in advance. This will be a notable difference to dynamic creative units which build on the fly. Creative management platforms can also span multiple channels, like display and social ads. Dynamic creative ad units are automated ad units that use rules and logic to dynamically pull in content like product prices and imagery based on some data within the impression. This is commonly used for product retargeting since a cookie can reveal what product a consumer last saw, and then the information for that product can be surfaced in ads. While the two approaches use varying levels of automation, for successful programmatic creative it is always important to remember that advertising is a discipline about people. The best programmatic advertisers use technology to amplify their marketing but don’t allow it to become robotic. Check out this post for an example of thinking through the creative aspect of programmatic. Above we have aimed to define programmatic advertising as it looks today, but what does the future hold? As technologies advance, it’s going to be easier to apply more machine learning and automation to the process. Gaps in between technology stacks will get closed with more integration and better adherence to standard practices. More channels will become accessible to programmatic, in the way that offline TV is now being somewhat integrated into some programmatic technologies. It’s an exciting time to be in digital advertising, and it’s only going to get more interesting.